For the most part, Spanish castles weren’t built to be pretty, though there are a couple of exceptions. They are solid, serious and scary. They were designed to withstand sieges from everyone from Moorish invaders to the king in the next province. Sometimes royalty lived in them for brief periods, but more often their residents were political prisoners of the reigning ruler. To visit the castles in Spain is to understand medieval military might. Located in Murcia Province, Lorca Castle was designed to be a defensive fortress. This concept worked well as it was never forcibly taken by invaders since its construction in medieval times. Ironically, one of the castle’s exhibits today deals with storming a castle. The castle sits on a site of a former Muslim citadel, and is a heritage center, known as Fortress of the Sun, that offers various cultural events. The castle and its exhibits are spread over a large area, which could create some obstacles for visitors with mobility problems. Coca Castle is unique among Spanish castles: It has only three sides since it is built into a hillside that provides a defense from invaders who attack from the rear. Coca Castle also is unique because its architecture was influenced by the Moors though it was built by Christians in the mid-15th century .Much of the castle’s interior was destroyed in the last century, but the exterior still retains Moorish touches, such as the turrets. Coca Castle is doable as a day trip from Segovia; the castle is open to the public though only by guided tours. Castle of La Mota is a reconstructed fortress with roots dating back to the 11th century. Over the centuries, the kings of Castile and Aragon fought over it, but it has been a Castilian holding since the 15th century. The castle dominates the surrounding area as it sits on a hill at Medina del Campo in Valladolid Province. In olden times, people entered the castle over a drawbridge. This medieval fortress has been reconstructed. At one time it was a well-known prison, housing such people as Hernando Pizarro, a conqueror of Peru, and Cesare Borgia. 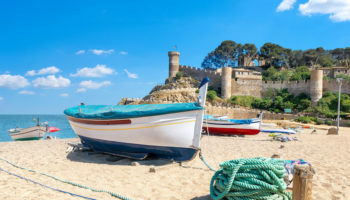 Travelers who want to visit Bellver Castle must first get themselves to Majorca, an island off the coast of Spain. The castle is unique among not only those in Spain but in the rest of Europe because it is circular in shape. Not only in the wall around the castle circular, but so are the towers and the castle itself. King James II of Majorca built the castle in the 14th century. It later was used as a military prison for political prisoners and today houses an historical museum. Surrounded by forests, the castle today hosts various cultural events such as concerts and is the symbol of the city of Palma. The New Castle of Manzanares el Real presents an imposing picture as this 15th century fortress is one of the best preserved castles in the Madrid area. 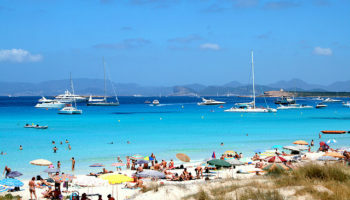 Its other claim to fame is that it featured in a scene in the epic movie, El Cid. The castle is also known as the Castle de los Mendoza because it was a presidential palace for this family. Built entirely of granite, The six-floor castle is a good example of Spanish military architecture. 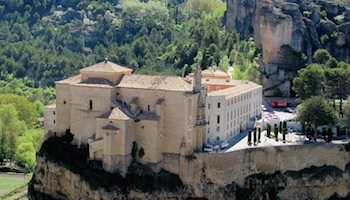 Today it houses a museum on Spanish castles. Located in southern Spain, the Alcazaba of Almeria is a fortress that sits on a hill overlooking the city of Almeria. The word “alcazaba” derives from an Arabic word that means “walled fortification, and this is what the Alcazaba of Almeria is. Houses and shops could be found inside the structure. Initially built by Muslims in the 10th century, it was added on to by the Catholics in later years. Moviegoers may find portions of the alcazaba look familiar, especially if they’ve seen Conan the Barbarian or Indiana Jones and the Last Crusade. As castles go, Peñafiel Castle is long, about 150 meters (490 feet), as it sits on a hill in the town of Peñafiel in Valladolid Province. Some say its long lines resemble a ship, with a keep that is nearly 30 meters (100 feet) high. This fortress, constructed between the ninth and 15th centuries, evokes an imposing presence when lit up at night. Today, one wing of Peñafiel Castle houses a wine museum; the other wing can only be viewed on guided tours. 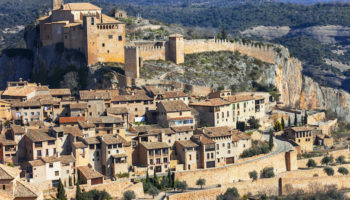 A trip to Olite Castle is to experience a different royalty culture in Spain, that of the kingdom of Navarre in the northern part of the country. 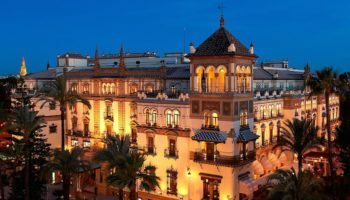 Also known as the Palacio Real de Olite, the castle was built on first century Roman ruins, though the castle’s construction did not take place until several centuries later. Various monarchs added to it over the years, using a variety of architectural styles, with towers, courtyards and gardens. The castle fell into disrepair, though the Spanish government has been restoring it since 1937. The Alcazar of Segovia doesn’t fit the mold of most castles in Spain, which were constructed as fortresses. This castle fits the fairy-tale mold of European castles and is reported to be the inspiration for the Cinderella Castle at Walt Disney World. The castle sits on a hill and gives visitors the impression it is like a ship sailing toward them. Royalty lived here, including Isabella I who was crowned here in 1474. The castle is a museum today with paintings and an armory. 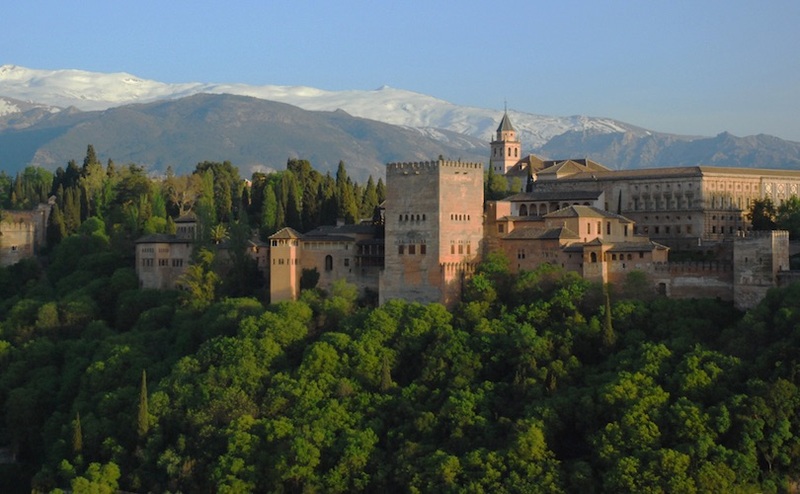 Travelers who have time to visit only one castle in Spain should make it the Alhambra in Granada. 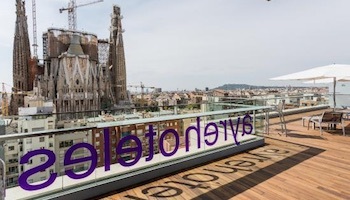 It is by far the most well-known structure in Spain. There is nothing quite like it that compares to this ancient fortress, with a name that translates as ‘Red Castle” in Arabic. 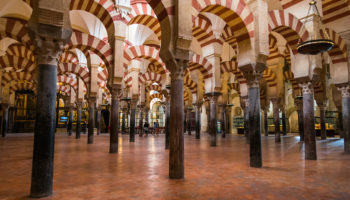 The architectural details are stunning and intricate, and represent the influence of the Moors who inhabited it for several centuries. 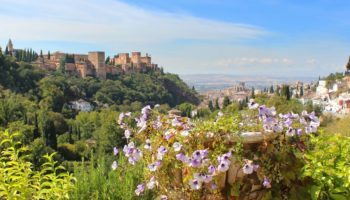 Because this is such a popular attraction, the number of visitors is restricted; Alhambra officials recommend booking tickets in advance. 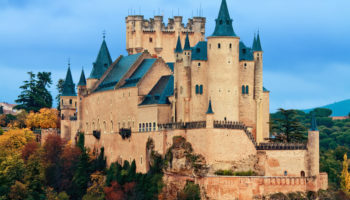 That is a beautiful list of the castles in Spain. 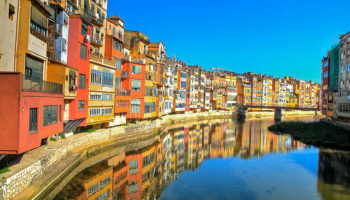 I have never visited those yet but I have planned a vacation in Spain and surely I will visit the most well known one. Thank you for sharing and helped me a lot.